Matteo is a code pirate and mad scientist. He spends most of his days programming in node.js, but in the past he worked with Ruby, Java and Objective-C. He recently defended his a Ph.D. thesis titled "Application Platforms for the Internet of Things". Now he is a Software Architect at nearForm, working on the nscale deployer. 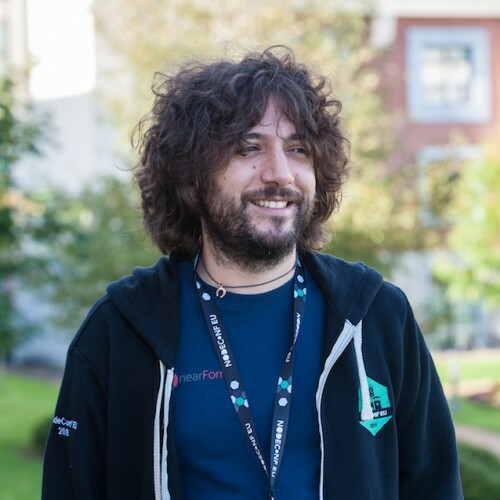 Matteo is also the author of the Node.js MQTT Broker, Mosca and of the LevelGraph database. Matteo spoke at several international conferences: Nodeconf.eu, LXJS, Distill by Engine Yard, and JsDay to name a few. In the summer he loves sailing the Sirocco.